He was born in İstanbul in 1976. He finished elementary school and high school in Mersin. He graduated from University of Ankara Medical Faculty in 2000. 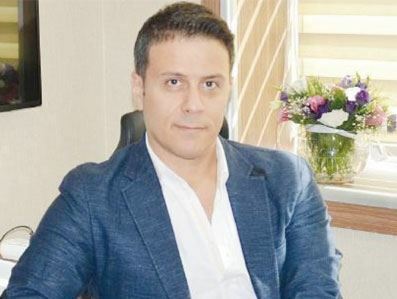 He started trainining Plastic and Reconstructive Surgery at University of İstanbul Cerrahpaşa Medical Faculty -one of the most prestigious clinics in Turkey– and finished in 2006. During his residency, he has dealed a wide variety of reconstructive and aesthtetic procedures, maxillofacial surgery, microsurgery and hand surgery and burn surgery as well. He did his obligatory army duty in Kasımpasa Marine Hospital at 2007. He studied at Okmeydanı Research and Training Hospital for a year and moved to Bagcılar Hospital in 2009. He has performed more than a thousand surgeries at these instuties. He has published many scientific articles and guided many plastic surgery residents on their training since then. He became an Associate Professor in 2015. He attended to Microsurgery Certificate Programme, pioneered by famous neurosurgeon Prof. Dr. Gazi Yaşargil in Unıversity of Zurich in 2008. He visited Dr. L. Osvaldo Vascones who has described many inventions on endoscopic face lift and aesthetic surgery in 2009 at University of Alabama to improve his practice on face lift. In 2016, he worked as a Clinical Fellow at Andarai Federal Hospital in Rio De Jenario with Prof.Dr. Carlos Del Pino Roxo. Dr. Roxo is one of the most well-known surgeons on era of plastic surgery after massive weight loss procedures. At the year of 1990 he has completed his plastic surgery residency in Istanbul University Faculty of Medicine.The same year, he went to UAB (University of Alabama at Birmingham) for fellowship in the field of cosmetic surgery. As a result of his success in Rhinoplasty (nose surgery), he has been invited to many international and national meetings as a guest panel speaker.